Hey all. 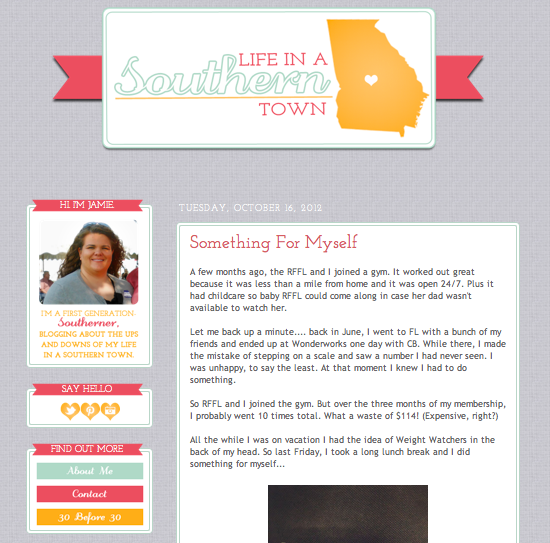 I can't wait to share with you all this most recent of blog redesigns. 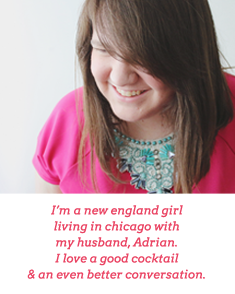 I've been taking it easy lately with blog designing because my full-time job has been kind of wild. But when Jamie got in touch with me and tossed an idea and a color palette my way, I knew I just had to do this one. She and I are both so excited about how it turned out! She was absolutely wonderful to work with, giving me a few colors and ideas and then letting me go wherever my creative little heart desired. This little design was so exciting for me because I am learning new things every day and it is so satisfying when the images on the screen finally match perfectly the images in my head. I am in love with the incorporation of the background (per Jamie's idea!) and the bright, clean design. If you've got a spare second today, jump on over to Jamie's blog and say hi. She is absolutely the sweetest! 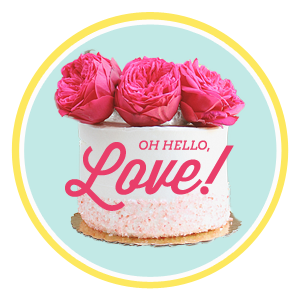 And of course, for more information about my customly clean and colorful designs, be sure to check out my "Blog Design" page! And if you've been considering it for awhile, no time like the present. I'll be on vacation from my full-time job next week, which means I'm free to work with you! Emily, you really are amazing! I love the design so much that I go to my blog just to look at it at least 3 times a day. It's truly beautiful! So lovely!! Your designs are so neat and clean. Very nice. You are really good at design, I am loving the color choice on your blog!